The Machine Intelligence Laboratory (MIL) provides a synergistic environment dedicated to the study and development of intelligent, autonomous robots. The faculty and students associated with the laboratory conduct research in the theory and realization of machine intelligence covering topics such as machine learning, real-time computer vision, statistical modeling, robot kinematics, autonomous vehicles, teleoperation and human interfaces, robot and nonlinear control, computational intelligence, neural networks, and general robotics. Applications of MIL research include autonomous underwater vehicles (AUVs), autonomous water surface vehicles (ASVs), autonomous land vehicles, autonomous air vehicles (AAVs including quadcopters and micro air vehicles, MAVs) , swarm robots, humanoid robots, and autonomous household robots. MIL's SubjuGator is the three time champion autonomous submarine of the RoboSub AUVSI/ONR underwater competition (2005-2007), and placed in the top 3 in eleven of the 21 years of the competition (including second place in 2012, 2013 and 2014). MIL's NaviGator AMS, is the defending champion in the Maritime RobotX Challenge (from our victory in our only entry in this biennial competition in 2016). In 2013, MIL participated for the first time in the RoboBoat AUVSI/ONR water surface vechicle competition with our PropaGator robot boat; we won! In 2014, we earned second place in the RoboBoat competition. 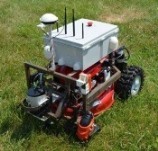 We also won the static division of the 2011 ION Robot Lawnmower competition with MIL's InstiGator robot lawnmower. In the fall of 2005, MIL physically moved next door to CIMAR (The Center for Intelligent Machines and Robotics) in the Mechanical and Aerospace Engineering Department. We relocated our lab facilities and faculty offices adjacent to the CIMAR labs and offices in order to streamline our collaborations. With MIL (from Electrical and Computer Engineering Department) and CIMAR working together, the possibilities are incredible. The NaviGator AMS, UF's autonomous maritime system won the 2016 Maritime RobotX Challenge in Oahu, Hawaii. We will compete next at the 2018 RobotX in December. The SubjuGator, UF's autonomous underwater vehicle (i.e., submarine), will compete next in the 2019 AUVSI Foundation and ONR's 21th International RoboSub Competition in July 2019. 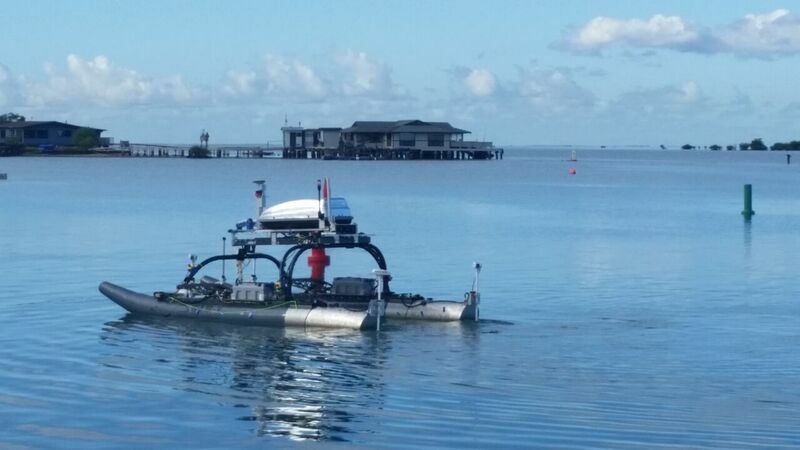 The PropaGator, UF's autonomous boat, participated for the first time in the 2013 AUVSI Foundation and ONR's 6th International RoboBoat Competition in July, 2013. We won! In 2014, we earned second place in the 7th Annual RoboBoat Competition in July, 2014. We are not sure when we will next compete at this event. The InstiGator, UF's autonomous lawn mower, won first place in the Static Division at the 8th Annual ION Robotic Lawn Mower Competition on June 4th, 2011, in Beavercreek, Ohio. This competition is no longer active. The Urban NaviGator, our robot car created for the DARPA Urban Grand Challenge, by UF and CIMAR/MIL's Team Gator Nation. Good Morning America (ABC) video at UF from March 10, 2008 includes footage of our Team Gator Nation DARPA Urban Challenge vehicle. Proposal video of our Team Gator Nation DARPA Urban Challenge Entry. A story about the DARPA Grand Challenge (which included a CIMAR robot called NaviGATOR) was on the Daily Planet on October 14, 2005. The video segment can be seen here (from the Discovery Channel website)..
A story about MIL's SubjuGator was televised on Discovery's The Science Channel (Cox Digital Cable channel 101 in Gainesville) on Friday, February 10, 2006 at 8pm and 11pm (EST) on a show called Discoveries this Week. It also was shown on Feb 10 at 11pm, on Feb 11 at 3am & 10am, Feb 12 at 8pm & 11pm and on Feb 13 at 3am, 9am & 1pm. You can watch this video here. I'm sorry about the poor sound quality. New to MIL? Join the MILers mailing list here. NaviGator AMS is an autonomous maritime system won the 2016 Maritime RobotX Challenge in Oahu, Hawaii. We will compete next in the 2018 competition. NaviGator ASV is an autonomous water surface vehicle designed on a WAM-V platform and built by undergraduate and graduate students.